Research In Motion did a very good job with the BlackBerry Bold 9930. It is not radically new by any stretch of the imagination, but it is a significant upgrade compared to what preceded it. The hardware is probably the best every designed by RIM, and offers a perfect combination of controls, materials, and quality manufacture. I can't state strongly enough how fantastic the QWERTY keyboard is. BlackBerry 7 may be more polished than previous versions of RIM's operating system but it is still too menu driven and reliant on layer after layer of folders and sub-folders. 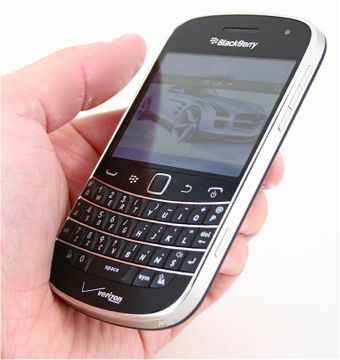 Messaging, social networking, and calling functions are top notch, and the Bold 9930 is a capable media device, too. I worry about its poor voice performance, though. Is the 9930 a good smartphone? Yes. Is it one of the best to come from Research In Motion? Yes. Is it worth picking over an Android smartphone or the iPhone? That's a tough call. Obviously the 9930's claim to fame its its outstanding keyboard, and that's the feature I'd hinge my decision on. Bottom line, if you absolutely must have a great, physical QWERTY keyboard, you can't go wrong with the Bold 9930. If you're not afraid of touch screens, and want a little bit more from your smartphone, perhaps holding out for something new from Google or Apple wouldn't hurt.